When we think of household appliances, we tend to think how they simplify our lives; yet they do pose a fire and injury risk if not properly maintained. According to the U.S. Fire Administration (USFA), there are approximately 3,000 residential fires each year that involve appliances that result in deaths, injuries and millions of dollars in property loss. The leading cause of fires in washer and dryers is failure to clean. Keep the area around the dryer free of items that can burn. Clean lint filter before or after each use. Remove accumulated lint around the drum and the back of the dryer where lint can build up. Annually, clean lint out of the venting system behind the dryer to make sure that it is not damaged, crushed or restricted. Check the outdoor vent covering; make sure it opens when the dryer is operating and nothing is blocking the vent. Gas dryers should be inspected annually by a professional to ensure the gas line and connection are intact and free of leaks. Don’t leave the dryer running if you leave home or when you go to bed. Make sure the machine is properly grounded. Immediately fix appliances or lamps that sputter or spark. Keep appliances away from wet areas, especially in the kitchen, bathroom, basement, and garage. Always plug major and small appliances directly into a wall outlet. Use laboratory-tested extension cords with built-in circuit breakers. Don’t overload extension cords or wall sockets. Check to be sure connections are secure; poor connections can cause sparks that may start a fire. Regularly replace or repair loose or frayed cords. Check wiring for outlets that don’t work, light switches that are hot to the touch, lights that flicker. 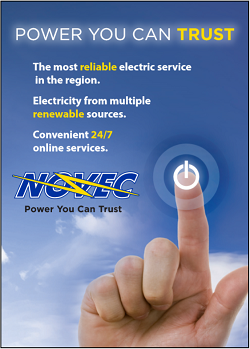 If you are experiencing these problems have it checked by an electrician. Keep clothes, curtains, and other potentially combustible items away from anything that can burn. When using heaters, keep at least three feet from combustibles. For additional information, visit the U.S. Fire Administration usfa.fema.gov and the National Fire Protection Association nfpa.org. 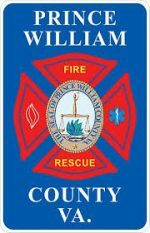 Prince William County Department of Fire and Rescue Chief Kevin McGee advises residents, that should a fire occur in your home, to install smoke alarms and develop a home fire escape plan. Install working smoke alarms on every level of the home including the basement. Install smoke alarms outside each sleeping area. Test smoke alarm batteries monthly. Replace batteries when you change your clock (spring and fall). Have at least two escape routes from every room. Practice the plan on a regular basis so everyone knows what to do in case of a fire.